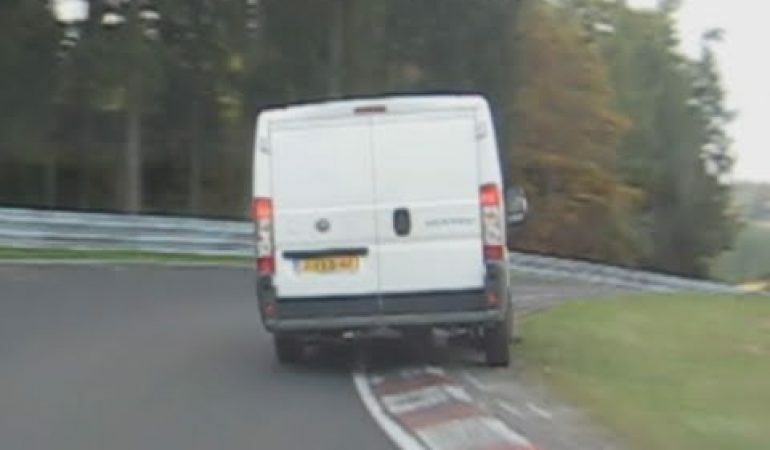 This huge Fiat Ducato van poured its heart into this epic Nurburgring lap, with a Seat Mii in close pursuit to capture it all for our viewing pleasure. After overtaking numerous cars, he decides to stop and offer help to a Citroen Saxo driver who fell victim to the notoriously unforgiving Ring. R1 Vs. GT3 Porsche on the ICE!